A Board of Directors was created when the membership voted to adopt a new set of Bylaws at the Annual Meeting in June of 2014. 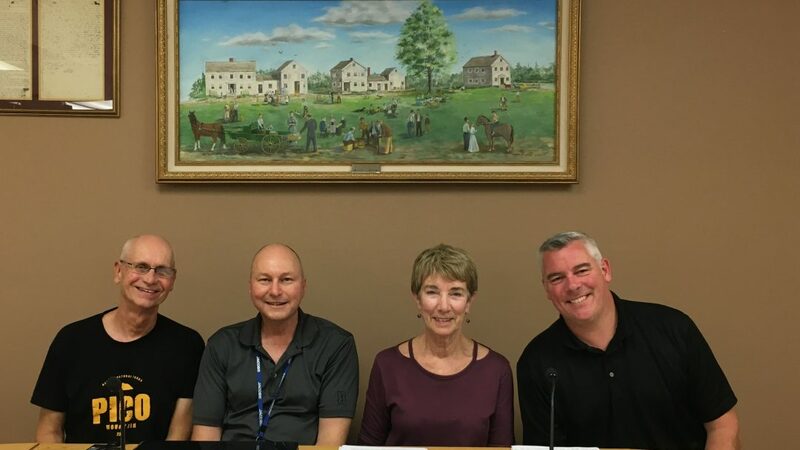 In the photo above, left to right: Vice president Tom Duffy; Treasurer Ed Kotowski; Secretary Pam Kelly; President John Decker. The Board has created and manages several ad hoc and standing committees. Board meetings generally take place on a monthly basis and PLIA members are welcome to attend.